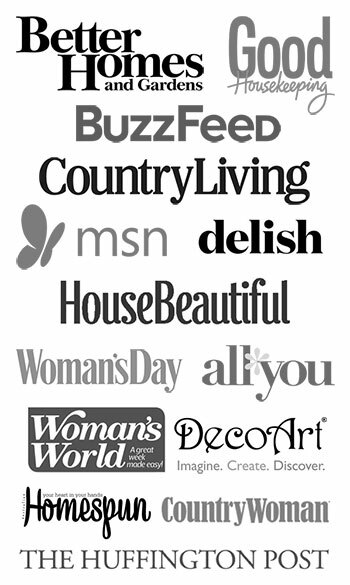 Home » DIY And Crafts » Random Meanderings aka Squirrel! It’s been a while since I did a random thoughts post where I just ramble on about whatever the heck comes to mind. Just a few musings of a middle aged chick mixed in with a few little gems I’ve found while trolling the internet. No theme. No message. Just a girl winging it here. I about choked on my cocoa when I saw this on the blog Cherry Picked. 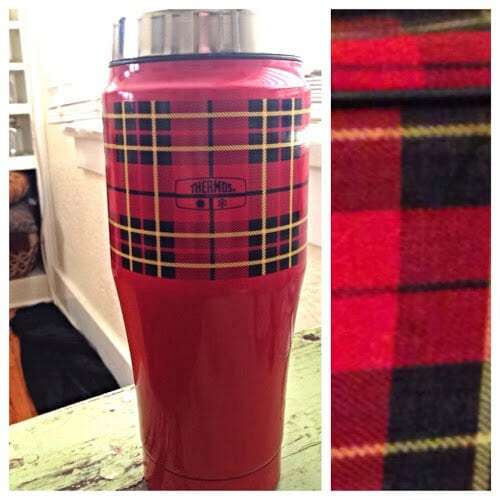 It’s a very cool throw-back plaid Thermos travel mug which I have fallen in love with. 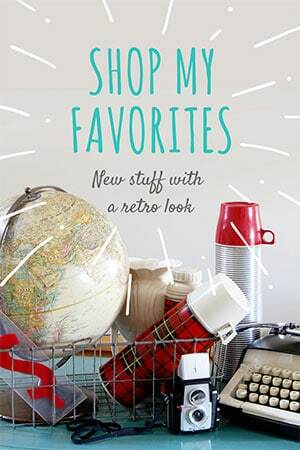 She had originally found it at Old Navy, but I have had no luck finding one (and neither has she since then). It will haunt me to the day I die. Rosebud! What do you think? About the baking, not the thigh thing, of course. I ran across an older blog post from Aimee at Fancy Little Things where she makes on adorable washi tape Valentine banner and arrow clothespins. Proving you don’t have to make something super duper complicated in order for it to be cute as a button. Did you watch the last episode of Parenthood this week? No spoilers here if you didn’t. But if I could give a standing ovation to a tv program I would. A DIY version of Poo-Pourri spray to get rid of a certain bathroom smell which ladies do not talk about. Poop. Number Two. Doodie. Never said I was a lady. DIY Crocheted Hangers like your grandma used to make. They’re hip and groovy and sort of in fashion once again. How To Make Homemade Mallo Cups – OK, let’s forget about the weird play money in the packages of Mallo Cups for a second. Aren’t they yummy! I have a weird love for those hard-to-find chocolate cups of marshmallow and if I could make them myself, well, then I would be in sticky, gooey melted marshmallow heaven. How’s your week been going? Any musings you’d like to get off your chest? *In case you weren’t aware, Ron Howard produced the program. That sentence really does make sense. Aaaaaaaagh…..that Old Navy thermos is haunting me too! I’ve checked 3 different stores to no avail. Didn’t they realize when they made it that there was an Obsessed With Thermos’ support group they needed to cater to? Fun random post…so my response is random, too (actually it’s how my brain works anyway).It’s kind of like sitting down for a visit. I miss Parenthood already…loved that show. I love that I get all of your references lol. That is the cutest banner…really creative and simple. I never do much for Valentines Day…inspires me to make SOMETHING. Love the idea of baking posts…I’ve done it a few times, but more on FB. Sometimes something’s so good, a girl’s got to share. Take a look at this cake… http://www.sarahbakesgfree.com/2014/12/gluten-free-vegan-chocolate-peppermint.html I made it for Christmas…gorgeous and ridiculously good…AND it is gluten free and vegan so EVERYONE could eat it. I’ll keep an eye out for that travel cup. Great post and I loved the movie “Citizen Kane”. That is a true story about Randolph Hearst – some of it is a little different. If your ever in CA go and see his castle in San Simon and read all about the unusual things that he did. Appreciated all the random, useful things. Particularly DIY Poo Potpourri. But i really LOVE that thermos. No recipes, please. There are plenty of other places to go for those. I don’t follow blogs that have them. Random works for me! DIY is my favorite kind of blog and if you need memberships for a thermos support group, include my name. 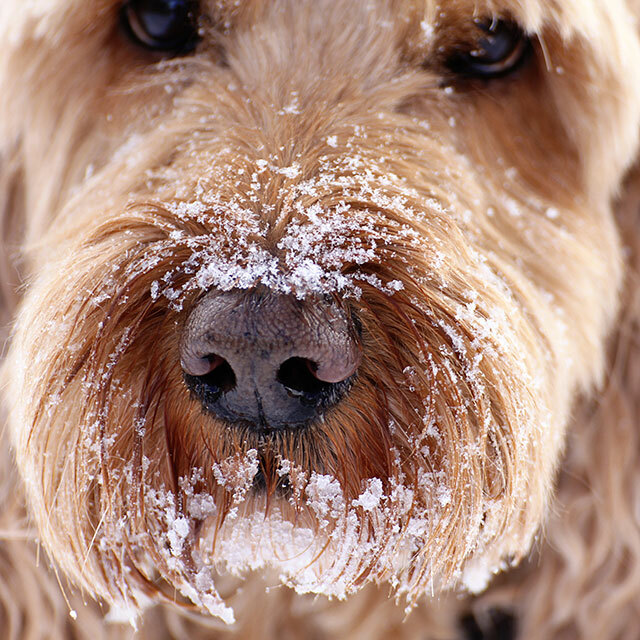 First of all, your dog is sooo photogenic!! Adorable. As for Parenthood, I have no idea what day or channel it’s on, but our oldest daughter keeps telling me it’s the best show on tv. I shall have to look in the tv guide to see when it’s on. Have you joined us coffee drinkers? You can find the plaid mug at westelm.com. Hurry! Almost gone!